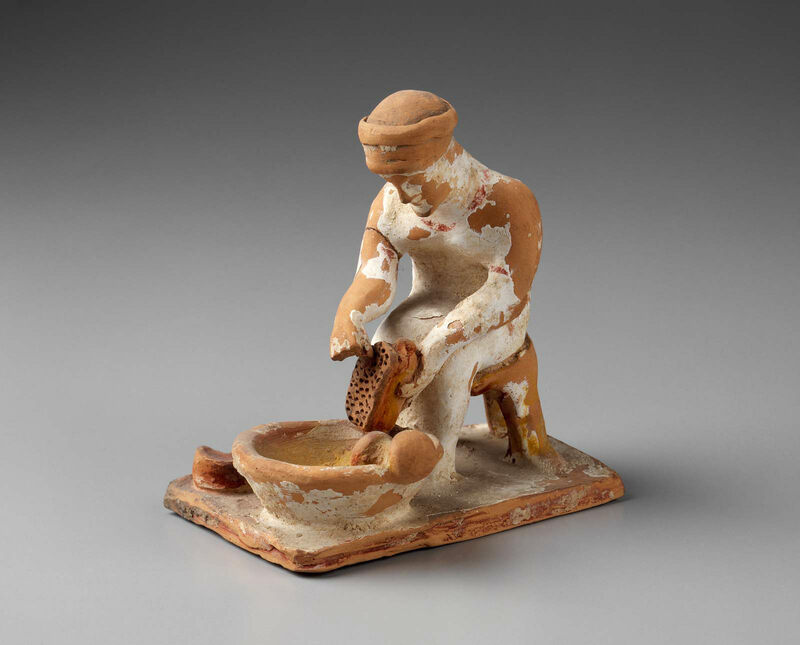 Statuette of woman grating cheese. On the edge of the bowl is a pestle; on the ground a cheese with a knife resting on it. The chiton is white with red around neck and sleeves. The edge of the base is red, the top white. The cheese red. Grater, (add Greek) chair, knife-handle, pestle, and inside of bowl are yellow. Lips red. Flesh white.